On the topic of child support, almost everyone thinks about minor children. After all, minor children are not able to earn a living or provide for themselves. Consequently, a parent, guardian or custodian must account for the minor child’s well-being. 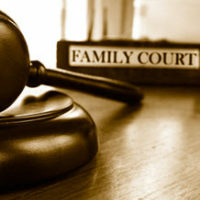 If the child’s parent divorce, then the courts determine not only custody of the children, but also each parent’s financial obligations of support. But in certain cases, Maryland law also requires a parent to care for their adult children. If an adult child is impaired or otherwise incapable of supporting themselves, then their parent(s) must continue to provide reasonable support. These children are referred to as destitute adult children under Maryland law. What is the Definition of a Destitute Adult Child? Will not be capable of self-support or subsistence in the future, due to mental or physical impairment. What are the Duties of a Parent to a Destitute Adult Child? What are the Penalties for Failing to Support a Destitute Adult Child? Section 13-102 also details the penalties for failing to support a destitute adult child. Any parent who is capable of providing support to their destitute adult child — and fails to do so — can face misdemeanor charges. The potential penalties include up to 12 months in prison and $1,000 in fines. How Does a Court Order Support for a Destitute Adult Child? Purchase a state bond that will ensure compliance with any court orders. How Does a Court Determine the Amount and Duration of Support? Section 13-107 also outlines how a Maryland court determines the amount and duration of parent support for destitute adult children. In terms of the amount, the court must consider the financial circumstances of the parent and isolate a reasonable arrangement. In terms of duration, parental support continues until the destitute adult child dies or receives other forms of reasonable support. If you have legal questions about parental support for destitute adult children in Maryland, it can be particularly valuable to speak with a knowledgeable family law attorney. Based in Bel Air, Maryland, the attorneys at Schlaich & Thompson, Chartered have more than 55 years of combined legal experience in family and criminal law. If you need legal help, contact us today for an initial consultation.